2 Maccabees is a deuterocanonical book which focuses on the Maccabean Revolt against Antiochus IV Epiphanes and concludes with the defeat of the Seleucid empire general Nicanor in 161 BC by Judas Maccabeus, the hero of the hard work. Unlike 1 Maccabees, 2 Maccabees was written in Koine Greek, probably in Alexandria, Egypt, c. 124 BC. It presents a revised version of the historical events recounted in the first seven chapters of 1 Maccabees, adding material from the Pharisaic tradition, including prayer for the dead and a resurrection on Judgment Day. Jews and Protestants reject most of the doctrinal issues present in the work, while Catholics and Eastern Orthodox consider the work to be canonical and part of the Bible. Some Protestants include 2 Maccabees as part of the Biblical Apocrypha, useful for reading in the church. Article VI of the Thirty-Nine Articles of the Church of England defines it as useful but not the basis of doctrine and not necessary for salvation. The author of 2 Maccabees is not identified, but he claims to be abridging a 5-volume work by Jason of Cyrene. This longer work is not preserved, and it is uncertain how much of the present text of 2 Maccabees is simply copied from that work. The author wrote in Greek, apparently, as there is no particular evidence of an earlier Hebrew version. A few sections of the book, such as the Preface, Epilogue, and some reflections on morality are generally assumed to come from the author, not from Jason. Jason's work was apparently written sometime around 100 BC and most likely ended with the defeat of Nicanor, as does the abridgement available to us. The beginning of the book includes two letters sent by Jews in Jerusalem to Jews of the Diaspora in Egypt concerning the feast day set up to celebrate the purification of the temple (see Hanukkah) and the feast to celebrate the defeat of Nicanor. If the author of the book inserted these letters, the book would have to have been written after 124 BC the date of the second letter. Some commentators hold that these letters were a later addition, while others consider them the basis for the work. Catholic scholars tend toward a dating in the last years of the 2nd century BC, while the consensus among Jewish scholars place it in the second half of the 1st century BC. Unlike 1 Maccabees, 2 Maccabees does not attempt to provide a complete account of the events of the period, instead covering only the period from the high priest Onias III and King Seleucus IV (180 BC) to the defeat of Nicanor in 161. In general, the chronology of the book coheres with that of 1 Maccabees, and it has some historical value in supplementing 1 Maccabees, principally in providing a few apparently authentic historical documents. The author seems primarily interested in providing a theological interpretation of the events; in this book God's interventions direct the course of events, punishing the wicked and restoring the Temple to his people. It has been suggested that some events appear to be presented out of strict chronological order to make theological points, but there seems little reason to expect a sequential chronology anyway, and little evidence for demonstrating the point one way or the other. Some of the numbers cited for sizes of armies may also appear exaggerated, though not all of the manuscripts of this book agree. The Greek style of the writer is very educated, and he seems well-informed about Greek customs. The action follows a very simple plan: after the death of Antiochus IV Epiphanes, the Feast of the Dedication of the Temple is instituted. The newly dedicated Temple is threatened by Nicanor, and after his death, the festivities for the dedication are concluded. A special day is dedicated to commemorate the Jewish victory called "Adar" and each year it is celebrated two days before "Mordecai Day". 2 Maccabees demonstrates several points of doctrinal interpretation deriving from Pharisaic Judaism, and also found in Catholic and Eastern Orthodox theology. Intercession of the saints (15:11–17) (at least as seen from a Christian viewpoint); the New American Bible comments on verse 14 "Jeremiah’s prayer in heaven has been taken in the Roman Catholic tradition as a biblical witness to the intercession of the saints"
In particular, the long descriptions of the martyrdoms of Eleazar and of a mother with her seven sons (2 Macc 6:18–7:42) caught the imagination of medieval Christians. Several churches are dedicated to the "Maccabeean martyrs", and they are among the few pre-Christian figures to appear on the Catholic calendar of saints' days (that number is considerably higher in the Eastern Orthodox churches' calendars, where they also appear). The book is considered the first model of the medieval stories of the martyrs. Catholic apologist Jimmy Akin examines Hebrews 11:35 ("Some were tortured, refusing to accept release, that they might rise again to a better life") and notes that this hope of eternal life after torture is not found anywhere in the Protocanonicals of the Old Testament, but is found in 2 Maccabees 7. Catholics and the Eastern Orthodox regard 2 Maccabees as canonical. Jews and all Protestants other than Anglo-Catholics do not. Based on (not necessarily reliable) copies, 1 and 2 Maccabees appears in manuscripts of the Septuagint, the Greek translation of the Hebrew Bible, which was completed by the 2nd century BC  along with (in some copies) 3 and 4 Maccabees and Psalm 151 which are considered apocryphal by the Roman Catholic church. The Codex Vaticanus lacks 1 and 2 Maccabees (but includes 1 Esdras) which Codex Sinaiticus includes along with 4 Maccabees (but omits Baruch), which evidences a lack of uniformity in the lists of books in early manuscripts of the Septuagint. Neither 1st nor 2nd Maccabees were found among the Dead Sea Scrolls. Pope Damasus I's Council of Rome in 382, if the Decretum Gelasianum is correctly associated with it, issued a biblical canon identical with the list given at Trent including the two books of Maccabees, Origen of Alexandria (A.D. 253), Augustine of Hippo (c. 397 AD), Pope Innocent I (405 AD), Synod of Hippo (393 AD), the Council of Carthage (397 AD), the Council of Carthage (419 AD), the Apostolic Canons, the Council of Florence (1442 AD) and the Council of Trent (1546 AD) listed the first two books of Maccabees as canonical. In Jamnia c 90, according to one theory now largely discredited, rabbis endorsed a narrower canon, excluding deuterocanonical works such as 2 Maccabees. This had little immediate impact on Christians, however, since most Christians did not know Hebrew and were familiar with the Hebrew Bible through the Greek Septuagint text from hellenistic Jews, although some researchers believe that under Christian auspices the books known to Protestants and Jews as apocryphal and to Roman Catholics as deuterocanonical were added to the Septuagint. In addition, the canonical status of deuterocanonical books was disputed among some notable scholars from early on and into the Council of Trent, which first definitively settled the matter of the OT Canon on 8 April 1546, after the death of Martin Luther. Although 2 Maccabees was included by Luther and other early reformers in their Bibles, they were rejected as being on the same level as canonical writings. Martin Luther said: "I am so great an enemy to the second book of the Maccabees, and to Esther, that I wish they had not come to us at all, for they have too many heathen unnaturalities." Other evangelical writers have been more positive towards the book: twentieth century author James B. Jordan, for example, argues that while 1 Maccabees "was written to try and show the Maccabean usurpers as true heirs of David and as true High Priests" and is a "wicked book," a "far more accurate picture of the situation is given in 2 Maccabees." ^ II Maccabees: "Unlike I Maccabees, the book known as II Maccabees was written in Greek." ^ 12:44 For if he were not expecting that those who had fallen would rise again, it would have been superfluous and foolish to pray for the dead. ^ "Septuagint". Encyclopædia Britannica. Encyclopædia Britannica, Inc. Retrieved 24 December 2016. ^ Ellis, E. Earle (2003). The Old Testament in early Christianity : canon and interpretation in the light of modern research. Eugene, OR: Wipf & Stock. pp. 34, 35. ISBN 978-1592442560. Retrieved 24 December 2016. ^ VanderKam, James C.; Flint, Peter (2004). The meaning of the Dead Sea scrolls : their significance for understanding the Bible, Judaism, Jesus, and Christianity (1st paperback ed.). San Francisco, CA: HarperSanFrancisco. p. 99. ISBN 978-0060684655. ^ Muddiman, John (2004). Barton, John, ed. The Oxford Bible commentary (Repr. ed.). Oxford: Oxford University Press. p. 618. ISBN 978-0199277186. ^ Jr, Gleason Archer, (2007). A survey of Old Testament introduction ([Rev. and expanded]. ed.). Chicago, IL: Moody Press. p. 81, 82. ISBN 978-0802484345. Retrieved 24 December 2016. ^ Freedman, David Noel; Allen C. Myers; Astrid B. Beck, eds. (2000). Eerdmans dictionary of the Bible ([Nachdr.] ed.). Grand Rapids, Mich.: Eerdman. p. 426. ISBN 978-0802824004. ^ Eusebius, of Caesarea. Ecclesiastical History Book 6 Chapter 25:1–2. newadvent. Retrieved 12 October 2016. ^ Augustine of Hippo. On Christian Doctrine Book II Chapter 8:2. newadvent. Retrieved 12 October 2016. ^ Letter from Innocent I to Exsuperius, bishop of Toulouse. ^ Westcott, Brooke Foss (2005). A general survey of the history of the canon of the New Testament (6th ed.). Eugene, OR: Wipf & Stock. p. 570. ISBN 1597522392. ^ B.F. Westcott, A General Survey of the History of the Canon of the New Testament (5th ed. Edinburgh, 1881), pp. 440, 541–42. ^ in Trullo, Council. The Apostolic Canons. Canon 85. newadvent. Retrieved 12 October 2016. ^ Merriam-Webster's Encyclopedia of World Religions. Merriam-Webster, Inc. 1999. p. 985. Retrieved 24 December 2016. ^ Allison, Gregg (2012). How the Bible Was Formed: A Zondervan Digital Short. Grand Rapids, MI: HarperCollins Publishing. Retrieved 24 December 2016. ^ Hubert, Jedin (1947). apal Legate At The Council Of Trent. St Louis, MO: B. Herder Book Co. p. 270. Retrieved 24 December 2016. ^ White, James R. (2004). Scripture Alone: Exploring the Bible's Accuracy, Authority and Authenticity. Bloomington, MN: Bethany House Publishers. ISBN 978-0764220487. Retrieved 24 December 2016. ^ New Catholic encyclopedia. 3. Washington, D.C: Catholic University of America. 2003. pp. 20, 26, 390. ^ Metzger, Bruce M. (March 13, 1997). The Canon of the New Testament: Its Origin, Development, and Significance. Oxford University Press. p. 246. ISBN 0-19-826954-4. Finally on 8 April 1546, by a vote of 24 to 15, with 16 abstensions, the Council issued a decree (De Canonicis Scripturis) in which, for the first time in the history of the Church, the question of the contents of the Bible was made an absolute article of faith and confirmed by an anathema. ^ Nichols, Stephen. "Martin Luther's Death and Legacy". Ligonier Ministries. Ligonier Ministries. Retrieved 24 December 2016. ^ Hiers, Richard H. (2001). The Trinity guide to the Bible (Pbk. ed.). Harrisburg, Penn. : Trinity Press International. p. 148. ISBN 978-1563383403. ^ McDonald, Lee Martin (2009). Forgotten scriptures : the selection and rejection of early religious writings (1st ed.). Louisville, KY: Westminster John Knox Press. p. 81. ISBN 978-0664233570. ^ Luther, Martin (1893) . "Of God's Word: XXIV". The Table-Talk of Martin Luther. trans. William Hazlitt. Philadelphia: Lutheran Publication Society. LCC BR332.T4. ^ Jordan, James B. (2007). The Handwriting on the Wall: A Commentary on the Book of Daniel. American Vision. p. 580. Borchardt, Francis. 2016. "Reading Aid: 2 Maccabees and the History of Jason of Cyrene Reconsidered." Journal for the Study of Judaism 47, no. 1: 71–87. Coetzer, Eugene. 2016. "Heroes and Villains in 2 Maccabees 8:1–36: A Rhetorical Analysis." Old Testament Essays: 419–33. Doran, Robert. 1981. Temple Propaganda: The Purpose and Character of 2 Maccabees. Catholic Biblical Quarterly Monograph Series 12. Washington, DC: Catholic Biblical Association. --. 2012. 2 Maccabees. Hermeneia. Philadelphia: Fortress. Goldstein, J. A. 1983. II Maccabees. Anchor Bible 41A. Garden City, NY: Doubleday. Habicht, C. 1976. “Royal Documents in II Maccabees.” Harvard Studies in Classical Philology 80: 1–18. Janowitz, Naomi. 2017. The Family Romance of Martyrdom In Second Maccabees. New York: Routledge. Kosmin, P. 2016. "Indigenous Revolts in 2 Maccabees: The Persian Version." Classical Philology 111, no. 1: 32–53. Schwartz, Daniel R. 2008. 2 Maccabees. Commentaries on Early Jewish Literature. Berlin: De Gruyter. Stewart, Tyler A. 2017. "Jewish Paideia: Greek Education in the Letter of Aristeas and 2 Maccabees." Journal for the Study of Judaism 48, no. 2: 182–202. Trotter, Jonathan R. 2017. 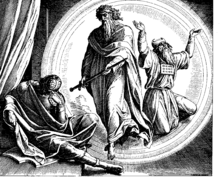 "2 Maccabees 10:1–8: Who Wrote It and Where Does It Belong?" Journal of Biblical Literature 136, no. 1: 117–30. Wikimedia Commons has media related to 2 Maccabees.